Interested in buying a Google Plus Page? Never heard of Google Plus pages before? They work exactly like Facebook fanpages, however, they offer much better reach, making them quite valuable to marketers. Currently Google Plus has over 540 million active users, with nearly half of them logging into Google Plus on a daily basis. While still in its infancy, Google Plus is a social network you simply cannot ignore. When you own a Google Plus page, you create new business opportunities across all of Google’s products. From bringing you closer to the top in Google results, to having a Google map with directions to your store appear when someone types in your brand name, these are not benefits you’ll want to miss out on. If you want to give this platform a try then make sure to contact us, we will do our best to find what you need. What are the benefits of a Google Plus page? Google+ is more than just Google’s answer to Facebook. It’s no longer the “ghost town” many have perceived it to be. 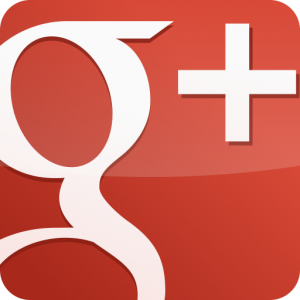 Furthermore, there are a myriad of benefits Google+ can offer for your business. Just like on Facebook, posts have the ability to go viral. Followers have the ability to add content. Increased credibility for any website, business, or brand. One time investment. No need to regularly dump money into advertising networks. Willing sellers are rare, so purchasing a Google Plus page may take a while. If you’re still interested, then please fill out the form on this page, we will contact you within 12 hours. By submitting the form, you agree to our buyer rules. What are Google + pages? Google Plus marketing – Getting started. Beginners guide to Google Plus marketing. How to use Google Plus for your marketing purposes (infographic). Extensive Google Plus marketing guide.